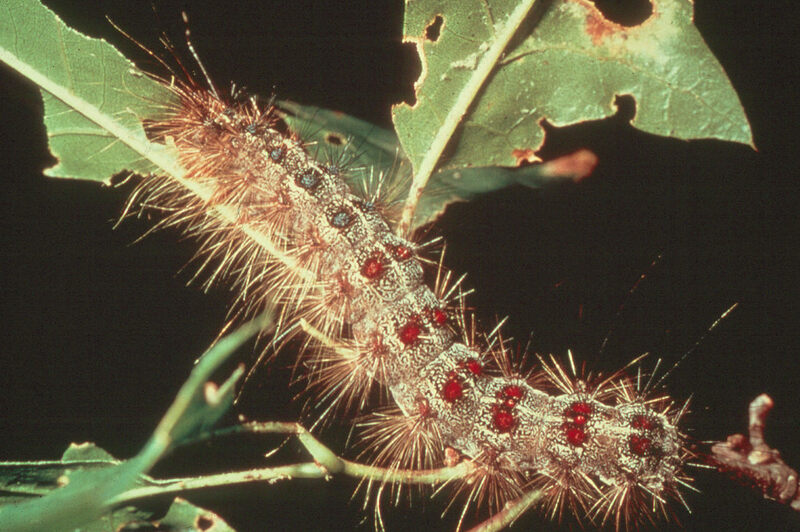 The first significant cases of gypsy moth-related dermatitis in the United States were seen in the northeast in the early 1980s. 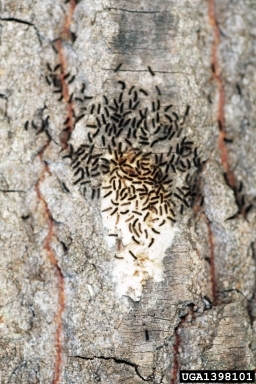 These outbreaks occurred during severe infestations, and were probably as a result of people coming into contact with the early larval stage – or first instar – of the moth. That’s when they are tiny and hang out in webs that can be blown around in the wind. Researchers think the fine hairs, or setae, of the larvae contain toxins, which, when they come in contact with human skin, make us itchy. The rash resembles a mild case of poison ivy, and can be treated with cold compresses and calamine lotion.